Isshinryu: An Old Way of Karate or A New Educational Standardized Way of Karate? 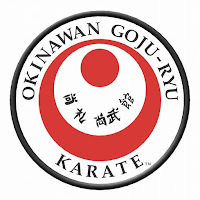 I have been running through some great articles that concern a topic I have written about for a while now, the view and theory on the old way of karate or the traditional practice of Okinawan karate vs. the new educational standard way of karate for a more modern times. In this article I wanted to discuss the practice of Isshinryu. Isshinryu may, I stress may, be about both a new way and the old way of karate. If you can believe, and I have no reason not to believe, the stories of Isshinryu’s founder Shimabuku Tatsuo Sensei as to his learning karate from some of the old historically understood old karate masters then you might feel that Isshinryu is both of the old way karate and the new standardized educational version of karate. It may be a model of karate that actually spans both worlds, traditional old ways and modern new ways of karate. It would come down to the agenda of Tatsuo-san’s teachings to the occupying American military along with many more restrictive requirements of that military, i.e., such as short one year tours, etc., that may, might or actually influenced the what, how and why of teaching karate. After all, Tatsuo-san was of that age to be influenced by the educational standardized form of karate but don’t forget that he was known to have trained with masters who were believed to be trained in and proficient with old way or traditional karate. I have speculated why I think it is possible that Tatsuo-san taught his karate and created his Isshinryu to an agenda and gaol to teach and award sho-dan to Americans who would only be there one year while meeting the wants and needs of those Americans whose ultimate goal was the coveted black belt. Remember, most of those who trained diligently for that year left with a black belt and as we know Americans will seek out a source that will provide them a solid opportunity to achieve their goal of black belt and if not, go elsewhere. Tatsuo-san’s efforts lead to a government/military contract of a very lucrative nature and you have to at least consider that his economic state after the war would drive how he set up and taught his karate to Americans. I do believe that those who actually made the opportunity to train with Tatsuo-san for longer than that one year tour may have been exposed to those old traditional ways of karate in the form of Isshinryu but in truth there is no way to prove that one way or the other. Did Tatsuo-san actually teach the edu-standard forms when Americans were present and then the old ways when only his Okinawan students trained? Can it be proved by means other than first and second person memories and conversations, i.e., like some sort of documentation and comparison, etc.? Lets say for the sake of this article and discussion that Tatsuo-san leaned both the old traditional way and the new edu-standard way and lets say the above quote is true. Why would he bother with that mind-set and mind-state teach Americans, the ones who defeated Japan and by association Okinawa, old way traditional karate if they would not teach Japanese or anyone overseas old way karate? I don’t see the incentive except an economic one and with all the restrictions and demands of the inpatient military occupiers, why he would not just teach the edu-standard watered down versions. After all, he understood that he would not see most of them again when they got that belt and went home to the west, right? There are going to be Isshinryu’ists out there that will scream blasphemy reading this but the questions are valid. Even if he did teach only the edu-standard version a good many of today’s practitioners have sought out as much of the old ways as possible and some have created what they believer are new ways that make self-defense in karate once again viable making some of modern karate a good thing. 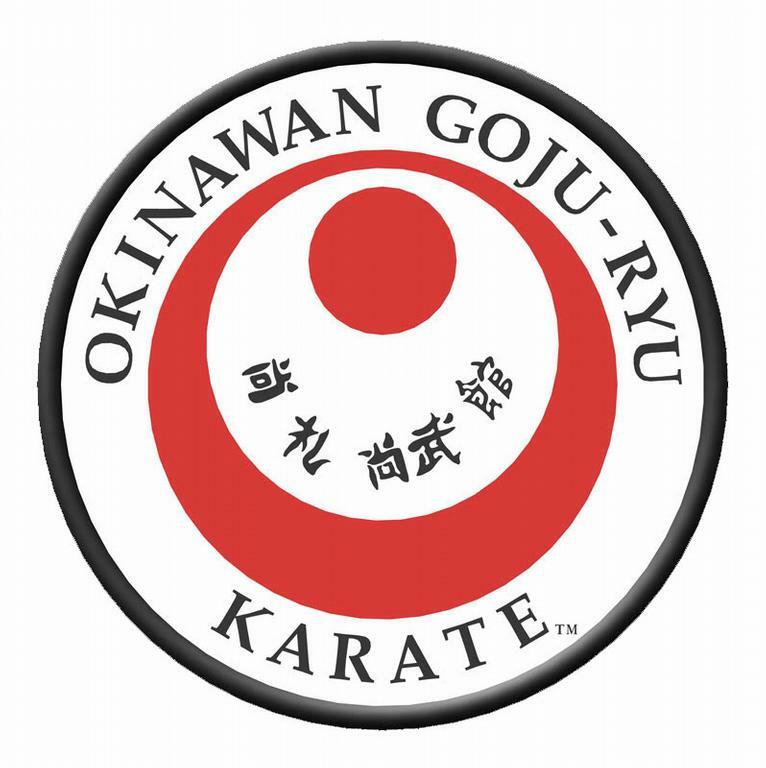 I can say that the way I was taught Isshinryu originally provided me a solid foundation in Okinawan karate that I believe we have a great way of practice, training and study. I believe that there are some aspects and traits that feel like the old way of karate while feeling appropriate and applicable to modern times and dangers. If not for Isshinryu I doubt seriously I would be practicing and studying any form of karate and/or martial arts today for I feel I would have gone only the distance most go, achieve a black belt like completing a subject in school and then quit for some other gratifying endeavor. Even as I practice today as a more modern applicability I still hold dear and near the practice of Isshinryu as, at the very least and minimum, the essence and core of my karate and martial arts practice, study and philosophy. But …. I still question …. Does Karate help eliminate stress? Yes, emphatically and absolutely, it provides the body and mind the tools to reduce and on occasion eliminate stress. It is not about adding a commitment to relieve stress when the commitment is made voluntarily; it is not about following someone else’s instructions as if under duress - look at one as in voluntarily committed oneself; it has nothing to do with any form of time restraints especially when self imposed and as to mental taxation then why voluntarily commit to the endevor and as to physical exhaustion that is also about self-imposed limits we voluntarily put on ourselves. Remember, you sought out, decided and then voluntarily committed yourself to the study, practice and applications of karate. Engaging in a physical activity adds a kind of stress that is considered “Good Stress” in the medical community. Stress is like yin-yang, a fundamental sub-principle of philosophy in martial arts and karate where the stresses of every day life have both good and bad where we try to limit and mitigate the bad while embracing the good. Stress is that effect that is as intricate part of living and being human where participation in certain types of physical activity or in this instance, karate, provides us a positive stress that contributes to lower blood pressure, stress coping skills like diaphragmatic breathing, another sub-principle of physiokinetics, the ability to relax, etc. all medically proven to mitigate and reduce “BAD” stress. It is not a matter of exposing ourselves to stress to create the ability to resist it but rather a way to achieve more good stress that by its very nature counter’s the bad stresses life has to offer naturally and in accordance with nature and the Universe itself. Granted, it is a form of stress, good stress and that type of stress is good and a viluntarily intended model you participate in but it does not increase resistance but rather trades off in a yin-yang form good for bad stress and that is good. You cannot overcome stress, that would require you not live life and life is full of stresses both good and bad and almost all of the bad is dependent on the individual themselves while mind-set and mind-state govern whether mental stresses are good or bad and that provides a lead into stress is not just good or bad but it has variations such as, “Environmental stresses; psychological stresses; physical stresses; social stresses,” and so on but regardless of the variations to good and bad stress karate, like all physical and mental models of similar nature simply provide you the tools to deflect the bad stresses into good stresses of which good stress benefits the mind, body and most of all our spirits. Jones, Matt. “Karate for Stress!” http://mattjoneskarate.blogspot.com/2016/01/karate-for-stress.html dtd Saturday, January 23, 2016. Why when I tried to test out your theories and ideas they didn’t work, Wassup with that? I get this all the time and I have my answer, it may not be an answer you like but it is valid. I ask them, when you first stepped into the dojo were you able to do basics, kata and drills? They would say, no, not right away. Then I asked, “When you decided to play football did you just put on a uniform and join the lineup to play? They would say, no, not right away. But, here is what happens especially if the theory or idea doesn’t fit their perceptions and perspective as to karate or martial art, the go out on the dojo floor to tray it a couple of times and if it doesn’t work right away they say, “This is no good, it doesn’t work.” It is this same mind-set that often causes a person to doubt themselves and their training when it fails to work in a self-defense situation. It is also seen by more modern martial artists who claim kata has no value when they don’t even practice it and have not tried to learn, know and understand it. This is also what makes learning, practicing and applying such a discipline so hard, you have to take it out for a while to learn it as if it is brand new (it is new), you have to practice it to make sure you are doing it right and then you have to practice it in a way that will allow it to either work for you or not and that takes time, effort, effort, and lots of sweat equity. Every time I try something new in my practice and I have practiced karate for about forty years, I have to slow down and work it out and practice it for a while before I even consider “testing it out to see if it works.” This includes testing it in an adrenal stress-conditioned reality based way because when I need it to work the most is when I am in that state facing grave bodily harm or even death. If you can just step on the dojo floor and apply your craft without all this practice and training then we all would be masters of our craft. Repetition brings progress and our efforts will tell us in time if something works. Try it, you’ll like it! Ok, I accept your premise of karate not being a martial art but what about Budo? Ok, I accept your premise of karate being a budo but want to expand and explain how that could be true and how that may be untrue. Lets start with explaining through a definition of budo, i.e., its characters/ideograms in Kanji form being dominant and acceptable. Hmmmm, the answer here is going to be simple, karate is not a budo as defined above. I make that distinction because budo relates to a martial art, military art and Bushido. My previous posting or article explains why I feel karate is NOT a martial art and because martial arts are a distinct definition within the whole definition of Budo, it isn’t a Budo. Other translations such as one wiki site states that Budo is a Japanese term that describes modern Japanese martial arts. I feel that is true. Their translations states its literal translation to English is, “Martial Way.” If Bu is truly translated as Martial vs. Martial Art as I presented in the above definition then I would be more apt to accept it as a term for karate. Google Translation [武道] defines these as martial arts. Jisho Translation [武道] defines these as martial arts; military arts; Bushido. Nihongodict Translation [武道] defines these as martial arts; military arts; Bushido. Shinjinbukan Translation [武道] defines these as martial arts or military arts. EUdict Translation [武道] defines these as martial arts; military arts; Bushido. WWWJDIC [武道] defines these as martial arts; military arts; Bushido. Note that the majority agree with my initial translation. I also take into consideration that any Internet translation may be subject to the experience and understanding of those who provided both the characters/ideograms as well as their English translations where in Japan it might be considered something else although I doubt that. Since everything relates to martial arts as military arts based somewhat on the modern concept of Bushido I would again stand by my first article and state emphatically that karate is NOT a martial art, military art or any relation or way as suggested by the content of Bushido. See "Karate vs. Martial Art: Why Make that Distinction\." Karate vs. Martial Art, Why make that Distinction? In my most recent posting, articles, I have begun to use, “Karate and Martial Art” to separate karate from the martial arts. It then gave rise to the question I answer in todays article, “Why separate karate from martial arts, aren’t they the same? In the beginnings of my studies of karate I, like many, made and accepted the assumption that karate was a martial art but in the last decade or so I have contemplated karate as a martial art and my studies led me to finally accept the fact that karate is NOT a martial art. As my continued research discovered more of the history of karate and with the theories and understandings of others who practice karate and martial arts with a traditional or what some call a “Koryu” sense, I came to my conclusion. First, karate was born from the ancient practice of hand defense some believe is called, “Ti (pronounced tea).” Ti was an indigenous form of defense practiced on the island of Okinawa and its practitioners may or may not have been few and of a higher class of its society - that part is and will be a contested historical nature. Second, Ti was also considered by the military presence of the Okinawans as a prerequisite to weapons training and there are tidbits of information from a concerted historical documentation of Okinawan history that states there were places, open ground, that clearly was found to be used to train in Ti so that its practitioners could and would move up to the weapons training necessary to protect the island but more importantly the ships used in their commercial trade efforts. Like any military, there is always an empty-handed or hand-to-hand component because there is always a chance Ti or the empty-handed discipline would, but not very often, be necessary in a combat situation. It can be theorized that even in close quarter combat with swords that their training and ability with Ti could be used in tandem with sword play and so on. One could argue that Ti as a prerequisite makes it a martial art but in general since it was used as a means for civil defense by guards, etc., on the island it still mostly falls to civil defense. It is not actually a required discipline used in combat, that is what weapons are for but still, it is possible. I would suggest and I believe it is a civil thing rather than martial because in a nutshell its lack of significant presence in historical military or social renderings it is only mentioned in passing. I also take into consideration that the more ancient martial artists considered it a play toy vs. an actual combative tool for military conflicts. Third, then we come to the modern version of Ti or what became also known as Toudi, karate. Karate actually came into the forefront of practice of the Okinawans and in the late 1800’s and then 1900’s the Japanese but for certain socially driven political war effort reasons. The Japanese, even in the 1800’s-1900’s were still war like and with their superior attitudes started to expand themselves to China and other Asian societies, etc. One of the significant events of those times was the writing and publication of the book, Bushido. As many modern articles and theories indicates this book and the subject of Bushido didn’t really have strong ties to the ancient practices of the feudal era where samurai, warriors and the conflicts and violence involved bushido really didn’t exist and if it did it was more or less insignificant. What was more significant was the practice and requirements of that practice of Zen Buddhism but that is another whole article. The Japanese needed to find a way to prepare and convince the Japanese people that war was good, necessary and of the right mind-set. The publishing of the Bushido concepts fell right into their needs and plans. Then the effort to incorporate practices into their society, including the Okinawans, they found that karate, while not a martial art, could become a prerequisite to being a willing warrior for the Japanese cause, i.e., karate was implemented into the educational system. When karate, then actually translated as China Hand, was first introduced to the Japanese it may have been seen as a means to instill that form of bushido or military willing attitude into their youth, via the educational systems. The person who demonstrated China Hand then changed it to Empty Hand simply because that made it more malleable to Japanese acceptance - especially the military. Karate was accepted and then instituted into the Educational system along with other martial arts. It was also allowed, possibly directly but I sense more indirectly to be under the heading of Japanese Martial Arts. Karate, even with the changes but especially with the changes necessary to make it acceptable to the education of the younger peoples of Japan and Okinawa became even less martial by its watering down, etc. hiding its true nature as a defensive fighting system. When coupled with the possible propaganda oriented education toward a more warrior like mind-set and mind-state it was made acceptable and easy to label as a martial art. Labeling it or placing it under the heading of martial art also worked to the advantage of the Japanese in conditioning the young adults toward acceptance of a military war like mind-set ergo how karate first became understood as a martial art when in truth it was still a civil defense system. My view here is more toward its historical beginnings as a traditional civil defensive system and my effort is to bring my practice up to speed so that my practice of karate will be more of a self-defense civil discipline ergo the creation of principles that fit with the fundamental principles of multiple methodologies for defense. While I am at it, this is also why I have changed my reference to principles from, “Fundamental Principles of Martial Disciplines” to “Fundamental principles of multiple methodologies for self-defense or defense.” My karate, as I aim for in training and practice, is to focus on the underlying fundamental principles as applied toward the use of multiple defensive methodologies for self-defense in a modern society in which I live. p.s. also, just because it is indiscriminately used and labeled as a martial art does not make it so like an accepted use of a new term would be added to a dictionary. If this were acceptable then we would have to change the true meaning of martial art, combat and warrior - not true or going to happen just because it fits our agenda. Now, I accept that this may be an issue with my view and belief as stated above. That is the nature of this game. Karate is used against untrained adversary's? This meme is not what it would seem because it is often translated from modern perceptions rather than according to the times and social conditions where it was born. It can be theorized that in the times giving birth to the art of “Ti,” Ti was taught and practiced by only certain individuals. This limited teaching and practice made it unavailable to the masses including the more nefarious folk who robbed and bullied. When such unscrupulous individuals plied their trade and found they faced a Ti practitioner they found themselves facing an unknown. It did not mean those unscrupulous and nefarious individuals didn’t have the tools to fight, etc., but simply ran into an unknown. When even an experienced fighter be they the average person or the more experienced predator of unscrupulous and nefarious deeds encounter something unique, out of the norm and of a dangerous nature they tend to bounce into what modern times calls the OO bounce, i.e., the unknown causes a return to the observe and orient stages and because of the nature of the response to their attack the freeze there allowing for a solid beating. The untrained is not meant to mean the average citizen, it is about its use against a determined attacker with a tool that is original, deadly and unknown allowing a tactical advantage. It means untrained in Ti or karate and other martial arts. We may assume untrained means anyone who has not ability to fight and defend as many stories about the peasants of Okinawa would indicate. It must be remembered that a lot of the stories told about peasants against samurai or warriors are being discovered as mere stories with little or now historical fact behind them, stories most often created by the more modern proponents that give a mystic uniqueness to the practice of karate and martial arts. Also, remember that Ti or karate was also utilized as a prerequisite toward training in arms, weapons like the swords, spears and archery disciplines. Before taking up dangerous weapons for training it was best for the people to learn about the principles of the body in the physical manifestation of things like movement, structure and balance, i.e., to control the hands and feet before taking up a practice sword or sword to learn how to fight, etc. Most of the protectors of Okinawan elite were performed by those who had Ti or karate expertise but most often when applying protection they utilized those weapons before utilizing empty handed techniques and tactics. Another aspect to the untrained is often those who became robbers and bandits where those not exposed to such training and practice be it Ti or Kobudo, etc. therefore they became criminal elements who developed their own ways to get what they wanted or ply their trade for survival. The ancient practices of Ti or karate lost their more appropriate applications due to the push in making Ti or karate a educational tool in the school systems along with the propaganda driven teachings of Bushido in order to prepare the populace toward war and after also as an after effect of the war remained a “Watered down” version taught also to the occupiers. This form becoming sport oriented and a business changed it again where in most cases it became less a professional and efficient defense system and more a commercialized sport oriented model not well suited to self-defense, etc. The good news is the concerted effort to bring back the more appropriate edition of karate for self-defense and combatives including the various forms of martial arts including the modern editions still used for sport. This is a good thing thanks to a hand full of professionals efforts to bring the short comings of most karate and martial arts concerning fighting, combatives and especially self-defense. Speculations and Assumptions - What are they good for? I have a friend who tends to avoid hearing about things one speculates and assumes on any subject matter but I want them to understand the making speculations on events and situations along with making assumptions as a result is normal and an intricate part of being human. Speculation an essential tool in assessing risk. The opposite to speculation is assumption. When we speculate we are working in our minds the what, when, where, how and of course the why of the event or situation so we may file it away for future reference just in case we become involved is said event or situation or some event or situation similar to the one we speculated about and made assumptions on. To assess anything provides us instinctual and insightful information from knowledge, experience and training so that we can also make decisions toward appropriate actions especially as it would apply to conflict and violence. Even if we train things, those things in all likelihood will not be in the same form when encountered in other situations especially in real life situations regarding almost anything but in conflicts and with violence especially. This is critical especially when encountering the unknown in sometimes unexpected situations we have not experienced making reality-based adrenal stress-conditioned training a critical component of self-defense as well for the physical model used for that defense. In short, we need speculations and assumptions to learn and therefore survive, it is the way of human-kind. At least to my perceptions, theories, understanding and belief - at least until someone provides proof of something better and more correct. It is how I see things when the traffic slows to a crawl when passing by an accident, the are all eyeballing the situation, speculation as to how it was caused and why then they are speculation the condition of those involved as to injuries or even death. They are running a variety possible scenarios in their head as to what happened, how it happened and why it happened. All assumptions based on possibly nothing or based on past experience in an accident or based on information and understandings from life experiences to include media driven reports on such events. They they speculate as to how they could have avoided that same situation and that is based on assumptions that seemingly come from nowhere or from experience and knowledge based on whether they completed a defensive driving program, etc. No one can remove that instinctual urge to speculate about events that occur around us especially when they involve danger, possible danger and possible to actual threats that would violate our personal safety and health. The same applies to making assumptions to those speculative ideas and theories used to act accordingly. I suggest that when one decides that speculation and assumptions are negative and not necessary and who try to avoid using speculation and assumption are actually avoiding the subject of that speculation and assumptions because it makes them feel uncomfortable, fearful and out of control. It is not actually the use of speculation to make assumptions but a fear of not being in control and not knowing because they have to have the answers or they don’t feel in control and therefore experience fear and so on. To achieve a greater or the greatest odds of hitting the nail on the head when using speculation and when making assumptions you need to seek out knowledge, understand that knowledge and how it applies to life, i.e., events and situations in life, and that helps our brains to seek out, manipulate and make use of the knowledge base we encode in our mind through such effort to learn, accumulate knowledge, gain experience both real and academic and finally to apply that when we speculate and assume in any given situation and about any given event within the situation and at any given moment. Education, understanding and experience are the most critical aspects of life necessary for speculation and the art of making assumptions especially for self-defense against conflict and violence. The three are core to acquiring data necessary to make speculation and assumptions work as the essential tool in assessing risk and when you assess risk you provide the way toward avoidance, etc. Trying to avoid the use of such critical survival tools is tantamount to losing your sight and going deaf. Would you want to deal with violence in that state? Another very important point on this subject, it is also critical once you speculate and assume an answer, response or fix you must validate it and verify its relevance, etc. What is the correct or preferred way to write Isshinryu / Isshin Ryu / Isshin-ryu? First, this is more about grammar and the use of spaces or hyphens, etc., to convey proper meaning when written such as this question as to whether it is proper to write Isshin and Ryu as one word, or separate words or to use the hyphen. Just as a example and a start toward understanding the proper way consider using a spell checker in a word document. The Word documents often used have a decent engine to check and suggest but it is not infallible. Then there is the use of a dictionary but since this is a word or term, etc., not a common one used in every day English, used specifically to name a foreign word that makes it a bit more difficult. Then you can also use Mnemonics to help your memory eke out a proper way but since the questions was asked and most of us are not writers or even English majors as to education along with many writers and majors also tend to have difficulties in this area that may not work either. This word or term does not fall under the heading of homonyms and plurals so that won’t work either. Sounding it out fails to give an answer except in English I would make an assumption that the two separate words, Isshin and Ryu, having a usage to describe one thing would best serve, as to its English usage, to be somewhat correct in using “Isshinryu.” This view is debatable to say the least and why this question becomes a bit more difficult to answer. Then I asked myself what defines a suffix? The dictionary tells us that a suffix follows an element to which it is added such as the “ly” to the word “kind” to make, “Kindly.” It can, in general, be anything added at the end of something, ergo Ryu added to the end of Isshin making “Isshinryu” a bit more correct, maybe. This leads me, personally, to consider that Isshinryu is more correct vs. Isshin Ryu or Isshin-ryu. Another way to look at it is to review several determine factors of the actual term from its native forms, i.e., the actual characters/ideograms used in Japan (we won’t go to the Okinawan dialect since Japanese is the official language there as well). The characters/ideograms for this term or word or title is, “一心流,” which does not get translated as is from the on-line English-to-Japanese-to-English translation sites but if you separate the first two from the last you get two separate translations. 一心 means, “one mind; wholeheartedness; one’s whole heart,” and 流 means, “style of; method of; manner of; school (of thought).” When spoken they are pronounced as just one word, i.e. Isshinryu. Now, one site that translates the three characters/ideograms (Kanji of 一心流) does provide an English word when translating, i.e., “Isshin-ryu.” Now, as to English I would say the proper way to write the English version of this descriptive word to be “Isshinryu” while as to at least one official translation site translating the kanji as “Isshin-ryu” then I would surmise that these two are proper and interchangeable unless you want to drill down to believing the true correct way would be that translation from the Japanese characters/ideograms (Kanji) into its English form. If that is correct, I would accept this personally, then the one correct way to write it in English is, “Isshin-ryu,” without capitalizing the Ryu part. I would have to defer to those who have a direct connection and experience with the founder who named the system or style of karate, Isshin-ryu. I do suspect that since it was originally written in the Kanji style and that the translation to English by that founder would have been flawed since his command of the English language was very poor and that left any corrections up to the American students who didn’t have or use a command of English to provide a true and correct translation into a proper English form - grammatically speaking. I also suspect until this very moment no one has bothered to even ask this question and tended to assume what ever spelling was used by their Sensei was correct while never truly researching the correct way. Note/Caveat: Remember, I am not an English major with any type of degree or other credentials that would make my answer, correct. I would, if you truly wanted to know for sure, submit the question along with background as to the origins of this word to a grammatical professional. Even then, because of its uniqueness and use they may not have a definitive answer either. In the end, what does it matter? What matters is this type of question comes most often from someone who wants to study and learn about every aspect of a discipline and although more of a trivial nature it speaks loudly of the type of effort and diligence this person has along with a very high motivation to learn and that is very good. When a student asks such seemingly trivial question it is easy to not give it its fair consideration because it may seem trivial but the heart of it means something great about that individual so answer it truthfully as possible. Remember, as their knowledge and understanding grow they will begin to differentiate in such questions while growing in depth and breadth in their understanding while creating a mind-state that allows for the distinctions that separate the types of training, practice, studies and applications. It could literally make all the difference to the person asking and create a connection that would take them to a life time of study and practice over someone who might simply quit early on, etc. What, if any, is the difference between someone who is a blackbelt and someone who is a sensei? Welllll, as one professional likes to state, “It depends.” You have to know, universally speaking as to fundamentals regarding black belt and sensei, what defines a black belt, a sensei and add in there what defines the levels of black belt. Like Marc MacYoung says about things like self-defense, it depends. Since there are absolutely no verifiable, acceptable and understood universal definitions to either black belt and sensei as they may or may not relate to qualifications, etc. we will have to answer this question from only my personal theories, perceptions and beliefs. First, what is a black belt? A black belt is that symbol that is worn around the waist of practitioners of certain martial arts and practitioners of karate. It often represents, inappropriately, a level of mastery in the discipline. In truth it does denote a certain level of proficiency toward master (how ever that is defined as well) but that also depends, i.e., is it a black belt at the first level or is it a black belt at a higher level of say 6th through 8th, etc.? Being a first level black belt is not about being a sensei or teacher or instructor or mentor but it does represent a certain maturity that if a practitioner/student desires to one day become a sensei they are then allowed to pursue that knowledge then gain experience toward that goal secondary to what is necessary to achieve a higher level of black belt before assuming a role as a sensei. Even when assuming a role of sensei at the level of third dan, in the dan-i system, they are still tied to a more experienced mentor and sensei until a much higher level is achieved. This is necessary to maintain the integrity of the system being taught while passing down all the necessary knowledge and experience to maintain the very essence and integrity of said system or style. Sensei, teacher and/or instructor is a discipline all their own and when tied with the martial arts and karate take on an awesome level of responsibility that many may not actually have the ability to undertake. Way to may folks make the incorrect assumption that donning a first level black belt means they have the knowledge, ability, understanding and expertise to assume the role of sensei. This assumption leads to the diminishing of the system or style until it becomes something else rather than that martial art or karate. The differences most obvious under this model are, “a technical application of the discipline vs. the inherent ability to convey a physical, mental and philosophical mentoring driven model that adequately conveys the very essence of the discipline to a wide range of perceptions, socially driven attributes and individual belief systems allowing such conveying of knowledge, experiences and most important of all “Understandings” that transcends all the human obstacles that hinder proper teaching, training, practice and applications necessary to be a sensei. As can be determined by this very simplistic and inadequate explanation and answer this is not a cut and dry thing but a complex discipline that transcends easy answers where dependency is driven my a myriad set of uncontrollable factors that tend to evade adequate explanation and understanding and so on. So, blackbelt vs. sensei, the only true answer is, “IT DEPENDS!” Look at achieving black belt as a pre-requisite to gaining entrance into a whole new discipline of teaching, etc. where an additional set of years along with degree are required before teaching the subject, etc. You don’t just get to graduate from high school and then get to assume you can now teach high school to students. p.s. If you wish to see more details as to what makes a sensei, teacher and instructor by all means do a search on the blogs I write and take a read, it is as I state a very complex and most difficult discipline this sensei thing. p.s.s. I have trained and practiced karate for a good many years, I even taught in my own dojo and I even taught self-defense but I have come to understand so many more things in the last decade that I now, even at the level I achieved, do not consider myself a sensei of karate for self-defense no matter how solid I feel my more academic knowledge and understanding is cause there is just so much more to applying and/or teaching martial arts and karate for self-defense. If you don’t believe me, simply begin to read my bibliography especially those geared toward self-defense. I can only answer that from my personal perceptions, perspectives and understandings from my personal studies of karate and martial arts. I suspect my answer will not actually jive with the definition given by Goju Ryu practitioners, etc. but remember, it is just my view, opinion and personal understanding. Goju as hard-n-soft is about the fundamental principles of martial arts with emphasis on the principle of philosophy as it explains yin-yang. When we say hard-and-soft or hard-n-soft we are a bit skewed as to its meaning. It should be as it is presented in the characters/ideograms as, “hard soft or hard-soft” with the hyphen in between meant to connect them similar to the yin-yang philosophy. Hard-soft/Yin-yang, yin being the soft side while yang being the hard side. When you take that philosophy you expand the meaning and its symbolism, etc. beyond merely the hard as in hard as a rock or soft as in the softness of cotton balls. Physiokinetic sub-principles are, “Breathing, posture, triangle guard, centerline, primary gate, spinal alignment, axis, minor axis, structure, heaviness, relaxation, wave energy, convergence, centeredness, triangulation point, the dynamic sphere, body-mind, void, centripetal force, centrifugal force, sequential locking and sequential relaxation, peripheral vision, tactile sensitivity, rooting, attack hubs, attack posture, possibly the chemical cocktail, Multiple Methodologies [actual tactics and attack methodologies of impacts, drives (pushes), pulls, twists, takedowns/throws and compression, etc. are best for stopping a threat]” Please note I have set in bold those sub-principles I would relate directly to my meaning of goju. Note II: I underlined the sub-principle that I have observed through the Sanchin kata where a outcome of its practice is locking and relaxation, i.e., in other words hardening the body with dynamic tension then relaxing the body through a positive relaxation of the muscles, tendons, cartilage, etc. Note III: You may begin to perceive something in this answer that relates to an Okinawan term and trait considered the essence of hard and soft application, i.e., Chinkuchi. Yin-yang is a duality that complements each other while remaining a singularity, the nature of yin-yang as is the nature of hard-soft. As Goju demonstrates the extremes of hard-soft as with yin-yang can achieve a 99% state of either hardness or softness as appropriate but as they are practiced and applied there is always a smidgeon of hard and soft present in those extremes as symbolized in yin-yang by the white/black “Dots or holes or circles” within the larger white/black spaces that represent the extremes of yin-yang therefore hard-soft. As one practices, trains and applies Goju, like hard-soft or yin-yang, there is a state that is constantly moving from the balance point where one side and the other cross over and blend into a balance of yin-yang or hard-soft, then continue that constant motion toward the other extreme of soft-hard or yang-yin. Goju is an expression created from one karate luminary of an older Okinawan culture and discipline along with their unique belief system that gave birth to the practice, training and application of Goju-Ryu Karate-Jutsu-Do. Think of this when next you observe a Goju demonstration, i.e., the external hard presentation is the Yang exposed while the soft side of Goju, the yin, is harder to discern except with experience that resides on the inside. The transitions of the external can be observed while still seeming hard, but not. Look close, you will see the dynamic complementation this practice provides. I suspect that is why some degree of the Goju of karate exists in all of the Okinawan karate disciplines, it is a matter of degree that is in and of itself also a rendition of Goju, hard-soft and yin-yang. Here are the principles, take some time to scrutinize them and I will bet you they will connect to Goju and Yin-Yang, etc. How important is kyusho [急所] jutsu [術] in your practice of tuidi [Totte 取手]? When turning your punch over, do you turn at the elbow or shoulder? First, what do you mean by turning your punch over? I suspect your talking about the “Twist-punch” used in some karate and martial arts systems. I would make that assumption for this response. Second, the twist punch has its uses but in general punching or punching with a twist, except in rare cases of well trained practitioners, using the twist punch in self-defense, fighting and combatives introduces to many variables that would result or could result in loss of energy in the creation and transference of force and power. It comes down to structure and alignments, two sub-principles of the principle of “Physiokinetics.” To achieve true force and power in a punch regardless of whether it twists or remains vertical a person must coordinate such things as, “Breathing, posture, centerline, alignments of the skeletal system with a strong alignment of the spine, your structure, centeredness, centripetal and centrifugal forces, sequential locking and sequential relaxation (this one is critical in timing, etc. ), rooting and other such factors. For instance, I believe Marc MacYoung mentions in his book of hitting and being hit, the shoulder girdle, the arm and elbow, the wrist and the fist formed by the hand and fingers clenching, etc. tend to bleed of energy and reduce force and power when striking with the fist. There are a variety of additional processes you can use to reduce and limit such loss. Example is to hit with the open hand vs. the fist. Those fingers rely heavily on how they form a fist because each phalange, its joints, its ligaments, it tendons and the strength used to clench that comes from the forearm muscles along with the wrists tendency to roll, twist and lose stability when hitting objects means a lot of energy is bled off or lost. Using the open handed strike removes most of that loss by taking the fingers and joints as mentioned out of the equation. As to the elbow and shoulder as it regards the original question it depends on how you are hitting. If it is a rising punch for example then the shoulder is down similar to the position take in the sanchin kata, the elbow down as if pointing to the ground and the wrist, hand and fingers all aligned with the bone structure of the forearm in a relaxed manner until you move your mass, drop step, sequentially lock with body skeletal alignment and structural support from the muscles, tendons and cartilage, etc., all coming to a single expression and transference of power and force to a designated/chosen target. Note: In my example above I am sure I left of some aspects of a solid punch but you get the idea. In the twist punch the elbow and shoulder should rotate simultaneously while keeping the upper arm, the elbow, the wrist and hand in a clenched fist aligned until you hit the target while taking into consideration that the rotational aspect to utilize a twist punch will reduce the power and force as the body change takes away some of the support of the moving mass of the body. This may be why the twist punch is more about doing localized damage vs. applying the type of power and force to stop and aggressive attack. It is likened to the flurry of blows that would disrupt the adversary’s OODA loop so that a finishing method of defense can be applied, etc. Note II: Karate, Judo and Isshinryu with a great deal of study on the subject of conflict and violence as it applies to karate and self-defense. Serious study began in Isshinryu circa 1976. What do rank certificates prove? Well, nothing really. Rank certificates can now be made on your computer through a word processing program and all the chops like stamps can be pulled from the internet, copied, printed and made into stamps at your local business store. It offers no credibility and yet many see them and assume that it means a lot. Even when associated with organizations it means nothing. It is nice to put on your “Atta-boy Wall,” but in reality it means absolutely nothing. You can print it out at any print store and on paper that looks and feels authentic, what ever that means, and put it into a really nice, expensive and high class looking frame and up on your wall - impressive ain’t it? In a recent posting somewhere out there in the internet world the comment was made that some nefarious person offered someone’s senior student what he called a “Fake Certificate.” My first question is, how did that person know it was a fake certificate and if he did somehow have some evidence what does it matter? Now he also said that the person stated, “Rank is everything.” He then denigrated that person for saying it and in truth was disparaging that persons’ beliefs and that is not a nice thing to do. To that person rank is everything and in all likelihood that person will spend what ever he has to achieve that goal and what he will have to show for it is a nice certificate to put on his wall. Since the guy disparaging the other guy was not being drawn in to the scheme and was out not one penny then why bother. Is it because he was lacking in the right level of confidence in his teachings and abilities thinking he would lose students to this other guy? Honestly, if he worried so much about the certificate rank guy he should lose his students. Hey, if you want, send me your name and style and I will gladly make up any certificate and rank you want and will charge you for the materials, paper and access to the computer and printer, and the postage to mail it out or better yet I will make it up and convert it to pdf format and you can carry it around in your cell phone to show everyone. That would make it actually a freebie. Don’t get me wrong, I was enamored with rank and certificates in my first five or so years of study, practice and training. I actually paid one association to join and be ranked and then I woke up, it is not worth it. Here is how I see it, your proficiency in karate or martial arts is a very personal thing. Your practice makes for progress and if you are dedicated and work hard you will progress and in the years that follow become more proficient and capable regardless of the reasons why you train and practice. Take a look at yourself and evaluate your studies and practices, if you are satisfied and perceive progress that is steady then you are a good karate-person or martial artist and don’t need validation from someone else, even your sensei. If you continue to learn; if you continue to understand; if you continue to progress you are good and what others feel, see, perceive or think means absolutely nothing. If you achieve your self-goals in the discipline then a certificate can neither give nor take that away from you. Others opinions are meant to be studied and either discarded or absorbed according to you and the rest is just chatter, noise and a distraction. Is this real? Is it valid? Is it worth anything? What does it prove?